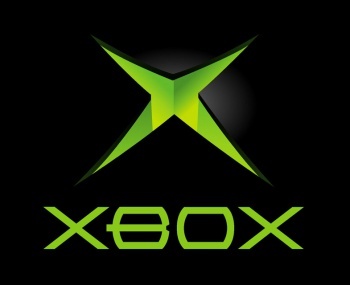 According to new rumors, the next Xbox will play Xbox 360 games, but only if you own something called an "Xbox Mini." Notice the rumor tag on the headline? As always that indicates that you should be consuming a large quantity of sodium before continuing. You've been warned. Now, according to a new report on VGLeaks, the next incarnation of the Xbox will feature backwards compatibility with Xbox 360 games, but in order to play these titles the console will need to be attached to an Xbox Mini. Supposedly this peripheral includes no disc drive and is instead an "always online" device. As a result, the Xbox 360 discs you own will not work with it, but according to VGLeaks, any titles you've purchased can be downloaded to the Xbox Mini via Xbox Live free of charge. Further, additional Xbox 360 games can be pulled down from the 'net in a similar fashion to the current Games On Demand feature found in the Xbox 360. Ah, but that's not the only feature of the Xbox Mini. The VGLeaks piece claims that the device is being designed to compete with the Apple TV, and as such will have access to numerous streaming video and audio services, as well as feature interoperability with your extant cable box. Intriguingly, VGLeaks claims that the next Xbox will also feature these IPTV components, but will only play Xbox 360 titles when the Xbox Mini is connected, effectively making the Xbox Mini its own standalone console - think of it as a new, smaller version of the Xbox 360 with additional video services and the ability to connect directly to the next Xbox, saving players from having to attach yet another console to their monitor of choice. This scheme contrasts with Sony's plan for PlayStation 3 backwards compatibility. As far as we know, the PS4 will not natively play PS3 titles, but will instead be capable of playing them via the Gaikai streaming game service. The next Xbox will functionally replace Gaikai with this Xbox Mini device. While this is certainly a viable, modern solution to the backwards compatibility issue, it could also prove very expensive. There's no details on how much this Xbox Mini might set a user back, nor word on whether or not Microsoft plans to launch the next Xbox with the Xbox Mini as a pack in. We'd expect not, though the company could release a special, more expensive version of the next Xbox with the Xbox Mini in tow, in a similar fashion to Nintendo's Wii U Deluxe Bundle which includes additional storage and a game among other items for prospective Wii U buyers with an extra bit of scratch to spend on their next-gen gaming habit. Expect more news on this front to emerge very soon. Word has it that Microsoft will officially unveil the next Xbox in May, so hopefully the company will set the record straight at that time.